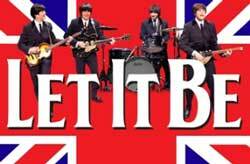 The producers of the Beatles tribute musical Let It Be which is running at the Prince of Wales Theatre from 14th September 2012 to 19th January 2013 are casting the parts of John, Paul, George and Ringo. Open auditions will be held at the Cavern Club in Liverpool on Tuesday 1st May and at the Gielgud Theatre in London on Tuesday 8th May. The Cavern Club was home to many of The Beatles’ early performances and applicants must be talented musicians capable of performing Beatles hits as part of a live band. A physical resemblance is also desirable. For auditions in Liverpool go to the Cavern Club (Mathew St, Liverpool L2) on Tuesday 1st May between 12:00 pm-1:30pm or 6:00pm-7.30pm to register and wait to be seen. For London auditions go to the Gielgud Theatre (Shaftesbury Avenue, London W1) on Tuesday 8th May between 10:00am-11:00 am, 2:00pm-3:00pm or between 6:00 pm and 7:00 pm to register and wait to be seen.